A new way to play. 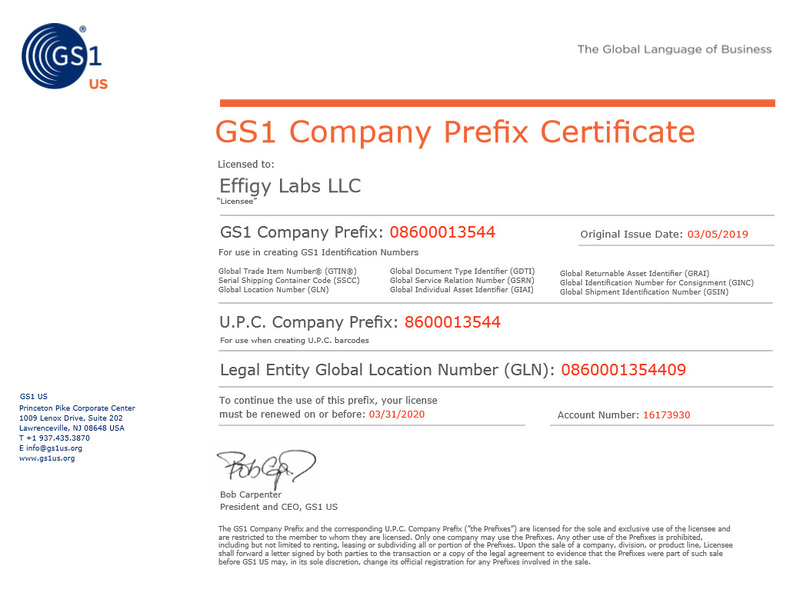 Effigy Labs was certified by the GS1 Company to own and use a unique bar code. Effigy will now be able to sell on places like Amazon and large resellers who require GS1 compliance. Effigy’s GS1 Compliance Certificate is available on the Company’s web site. Effigy Labs is revolutionizing the way humans physically interact with technology. Effigy’s vision is to own the precision machine control interface market. Patented sensors provide unmatched expressiveness, playability and responsiveness as implemented in the company's flagship product, the Effigy Control Pedal. Effigy Labs LLC develops and markets solutions focused on intelligent human interface devices, pro audio gear, IoT, and consumer electronics.